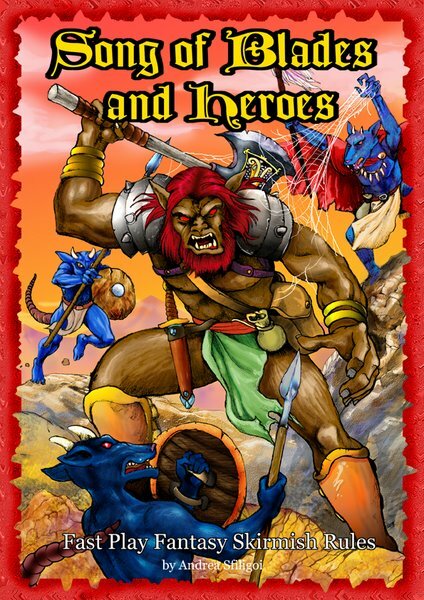 Ganesha Games is pleased to announce that the "Song of Blades and Heroes" fast play fantasy skirmish rules have been nominated as Best Miniature Game at the Origins Game fair. We take the opportunity to thank all the loyal fans, editors, translators, webmasters, reviewers, distributors, manufacturers, retailers, websites, playtesters and last but not least members of the songofblades yahoo group who contributed to build a positive buzz about the game. Mutants and Death Ray Guns is available! 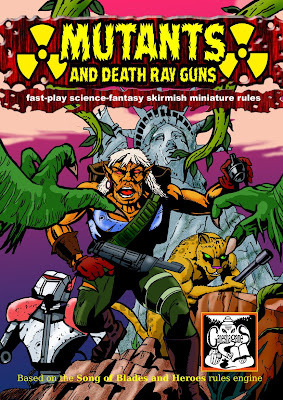 Ganesha Games has just published Mutants and Death Ray Guns, a fast-paced, skirmish level, post-holocaust, science fantasy miniature system for two or more players, based on the popular Song of Blades and Heroes mechanics. After 200 years of war with nuclear and biochemical weapons, new races compete for supremacy over a scorched Earth. Pit your band of after-the-bomb desperadoes, mutant humanoids, sentient plants, robots, androids, hyper-evolved animals and zombie-like Wretched against the dangers of a wasted world. Face irradiated terrain, contagious diseases, aggressive life forms and malfunctioning equipment. Collect artifacts, find food, fight over scarce pools of uncontaminated water, and save your resources, because in the harsh post-apocalypse world every energy cell, every ration and every drop of water means the difference between life and death. 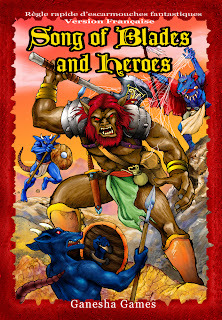 Designed for fast-play, you can finish a battle in 30-45 minutes; play a mini-campaign in one evening! Play with any single-based miniature, in any scale. Inexpensive and Convenient: play with as little as four miniatures per player. The game requires little space -- a 2'x2' table is enough! Uses three sticks for easy measurement of movement and ranges. Includes five factions: Humans, Androids, Mutants, Robots, Mutated Plants, Mutated Animals, and the disease-ridden Wretched! 40 pre-generated characters and six scenarios included. Complete rules for physical and mental mutations, power armor, high-tech weapons and psionic powers! 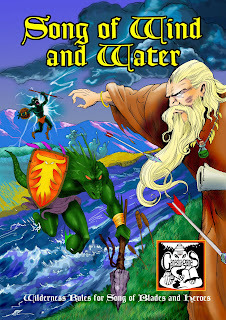 Campaign Rules: your characters become better fighters, gain new mutations and equipment after every battle. 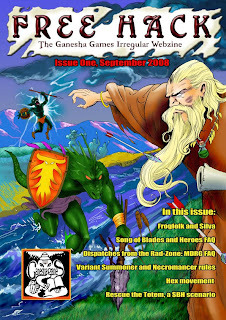 Also includes a list of manufacturers of suitable miniatures. Note: this is a complete, stand alone product. 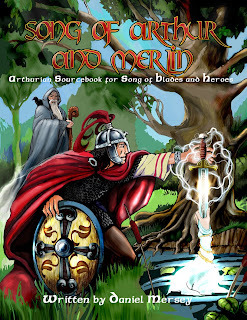 Purchase of Song of Blades and Heroes is not necessary.